The CHI Family Corner is a space on the web where families can visit and hopefully find comfort, wisdom, and information. The Welcoming Words were originally written by the wonderful parents and caregivers who created the www.sur1.org webpage. We have excerpted them and are happy to be able to share with you their encouraging words. We would like to extend a warm welcome to all of you who have come to our page, to the young adults living independently with Hi, maybe for the first time, to the parents of young children with HI who have come to learn more, to the teachers, grandparents, relatives and friends of those with HI. To all the members of our growing family, we extend a warm and heartfelt welcome. It is with a great feeling of togetherness that we reach out to those who have, up to now, been living alone with this difficult and rare condition. To discover that your child has a disease is difficult enough. When you realize that the disease is rare, that most doctors know little about it and that your friends and even family don’t really understand when you try to explain, then you might feel alone and at loss. Be aware that you are living a stressful situation. Exercise, dance, sing, read, write, plug back into the activities you love, even for short periods every day, to ensure you relieve the tensions and recharge your energies so that you have the strength to withstand the difficult days. When living with children, who have HI, the medical care, the worries and the fear of the unknown, tend to take up all one’s energy but we mustn’t forget all the love our children have to offer. Remember that despite HI there is a baby or a child waiting to be enjoyed! I am often asked to describe the experience of raising a child with a disability – to try to help people who have not shared the unique experience to understand it, to imagine how it would feel. It’s like this. When you’re going to have a baby, it’s like planning a fabulous vacation trip – to Italy. You buy a bunch of guidebooks and make your wonderful plans. The Coliseum. Michelangelo’s “David.” The gondolas in Venice. You may learn some handy phrases in Italian. It’s all very exciting. So you must go out and buy new guidebooks. You must learn a whole new language. And you will meet a whole new group of people you would never have met. That sure is fits the bill! It’s just a different place. It’s slower paced than Italy, less flashy than Italy. But after you’ve been there for a while and you catch your breath, you look around and you begin to notice that Holland has windmills, Holland has tulips, Holland even has Rembrandts. But everyone you know is busy coming and going from Italy, and they’re all bragging about what a wonderful time they had there. And for the rest of your life, you will say “Yes, that’s where I was supposed to go. That’s what I had planned.” And the pain of that will never, ever, ever go away, because the loss of that dream is a very significant loss. Children with HI sometimes have learning disabilities, learning differences and other special needs. They often also have special health needs while they are at school. 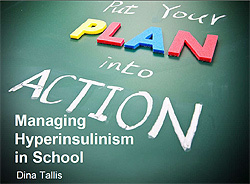 This section includes information about entering the school world for the HI child. CHI is thrilled to announce that we have a volunteer education specialist who is also a mother of a girl with HI. Her name is Dina Tallis. In addition to being a mother, she is the principal of a primary school in Michigan. She understands the needs of children with HI from the inside out. Dina presented at the CHI Family Conference in March of 2012. Below please find some materials she has prepared for the HI community. *Please note regarding the Example School Binder Materials: This is an electronic copy of the binder Dina prepared for her daughter’s school. 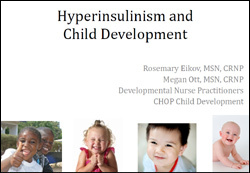 The purpose of sharing this document is to provide you with an example of the kind of materials you can prepare with your child’s doctor for your child’s school. This is just an example and the information here is unique to Dina’s daughter and should not be copied verbatim for your child. 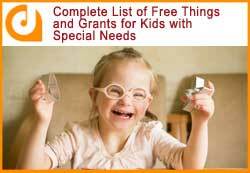 Blog article from dontpayfull.com: “The Complete List of Free Things and Grants for Kids with Special Needs.” This helpful article is full of valuable information and links in regards to saving money on things such as travel, therapy tools and mobility aids, and foundations that provide financial assistance. Click here to read this article and learn more. 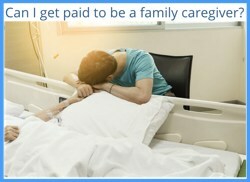 “Can I get paid to be a family caregiver?” Click on the image at left to read this article by Cori Carl on The Caregiver Space website.